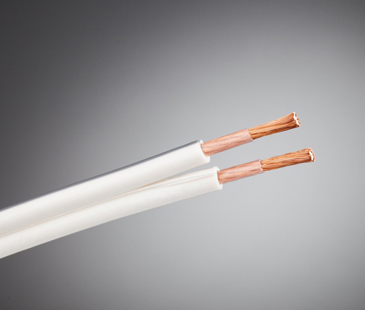 ORIGINAL TWO speaker cable is built around parallel multi-stranded BRC conductors: 2 x 4.00 mm² (161 x 0.18 mm) in a common antistatic SPVC jacket. It was designed for use in specific installations that require higher resolution from a sufficiently slim non-round shape. This was achieved by applying individual solid PE conductor insulation. Offering an amazing price-to-performance ratio they easily outshine most of competing products at price points far exceeding that of their own in terms of sound quality. Impressive flexibility derived from their conductor arrangement coupled with jacket made of high damping SPVC make them easy to install.